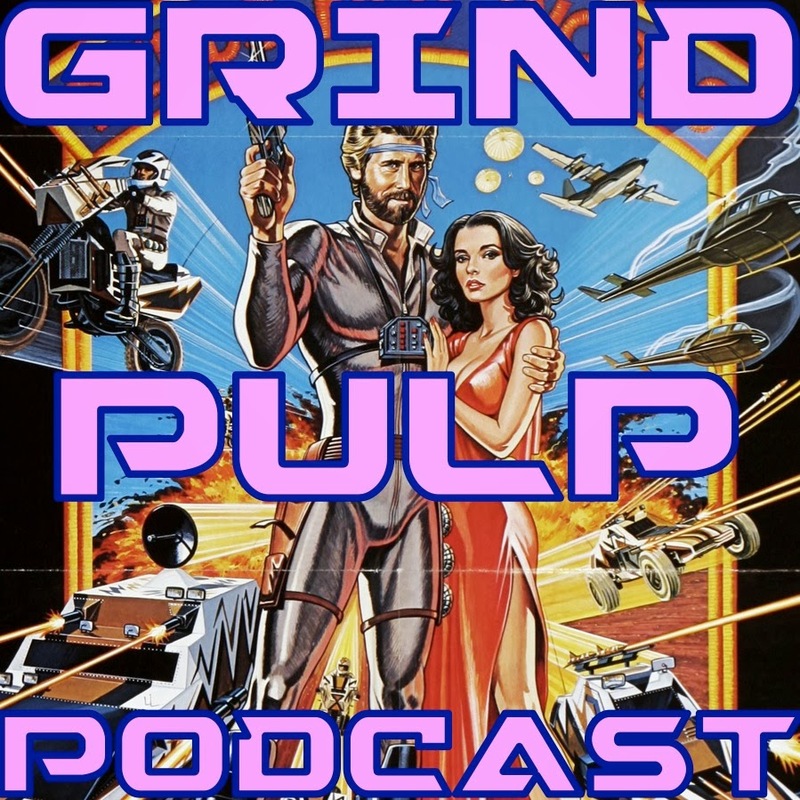 GRIND PULP PODCAST: Grind Pulp Podcast – Episode 15 – MEGAFORCE! Grind Pulp Podcast – Episode 15 – MEGAFORCE! Join Andrew Crevier, Jeronimo Brown, and Manga Matt as they talk about three short stories and their feature presentation pick: Megaforce. This was Jeronimo Brown’s movie pick. Andrew seems to like it for different reasons than Jeronimo. Manga Matt dissects characters and Introvision while Andrew dives into a short rant on websites overstuffed with ads. He also decides to maneuver his way into getting his story picks figured out for episodes 16 and 17 by proposing to cover the next two parts of Blade of Dishonor. Some of the others things they talk about: Revolutionary Girl Utena, Tales from the Cobra Wars, All the Colors of the Dark, G.I. Joe, and Rad. Jeronimo continues to decide his story picks at the last second. Megaforce is not currently available from mass distributors. You can find burn-on-demand copies that are VHS transfers, VHS copies on ebay, or you can find pirates offering it up in exchange for your very soul. Get it however you can. BLADE OF DISHONOR is such a great book. Anyone who's a fan of pulp action goodness should buy it immediately. Thanks for covering my prequel short story, City of Bones! And I have to say I dig the podcast and will have t start listening regularly. C.E. Martin, thanks for the fun story!